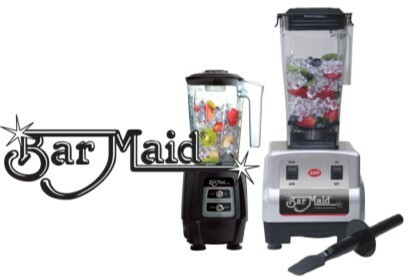 Bar Maid Corporation is America’s leading manufacturer of 5 Brush Portable Electric Bar Glass Washers as well as Beer Keg moving Carts and Dollies, Bar Chemicals, BLE-110 1-HP & BLE-300 3HP Bar Blenders, Citrus Juicers; JUC-100 & JUC-200 and Bar Supplies. 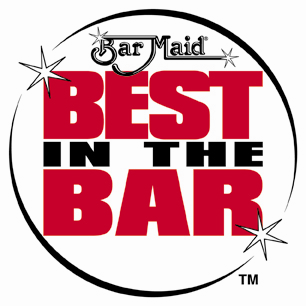 For over 50 years, Bar Maid has been making innovative, high quality (mostly made in USA) commercial grade products used by restaurants, hotels and chains in the USA, Canada, Central/South America and many other countries throughout the world. The Bar Maid Glass Washing System (5 Brush) is the most cost efficient and effective method of washing all types of glassware. Installed in almost any bar sink in seconds, the center brush scrubs the inside of the glass while the outside brushes simultaneously clean the outside leaving glasses crystal clear and free of lipstick and fruit pulp. Bar Maid Glass Washers are inexpensive to buy, virtually maintenance free, fast and efficient. They are also economical using much less water and chemicals than other systems. Our Glass Washers use a variety of interchangeable brushes for all types of glassware and are used in many other industries for many different cleaning operations including laboratory glassware, baking pans and manufacturing. Bar Maid’s line of Keg Moving products (KP Cart and Dolly) are unique problem solvers making moving beer kegs a simple job. Our Bar Supplies are heavy duty and built for busy bar professionals. Our full line of Pourers, Measured Pourers and Scoops are cost effective, high quality products, recognized as some of the best available.